The North Carolina Department of Revenue issued a directive on August 7, 2018 requiring certain sellers not physically located in North Carolina to collect and remit sales tax on sales sourced to North Carolina. Effective November 1, 2018. The directive comes after the U.S. Supreme Court’s June decision in South Dakota v. Wayfair, in which the court found that physical presence is not necessary to create a substantial nexus between a remote seller and a taxing state. Accordingly, North Carolina will enforce an existing law [N.C. Gen. Stat. § 105-164.8(b)] regarding remote sales and require remote sellers to collect and remit the applicable sales and use tax on taxable retail sales sourced to North Carolina. The law will be applied on a prospective basis beginning Nov. 1, 2018. 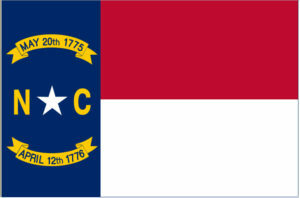 The NCDOR will enforce the North Carolina statute concerning remote sales with regard to remote sellers having gross sales sourced to the state in excess of $100,000 or having 200 or more separate transactions sourced to the state in the previous or current calendar year. This entry was posted in North Carolina and tagged Commerce, e commerce, E Nexus, NCDOR, nexus, North Carolina, sale and use tax, sales tax, South Dakota v. Wayfair, use tax, wayfair by ZASALT. Bookmark the permalink.